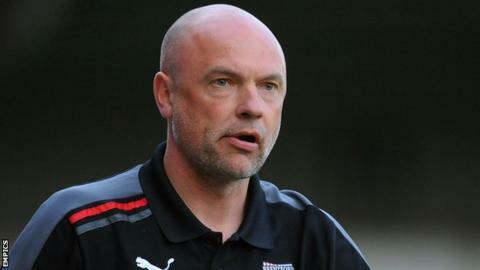 Brentford manager Uwe Rosler has called on his side to be more clinical in front of goal after suffering their second loss of the League One campaign. The Bees lost 1-0 to Leyton Orient on Thursday evening. He told BBC London 94.9: "The whole team did well and I am proud to be the manager. The performance was top drawer but we didn't get the result. "When you create so much and are so dominant, you have to use one of the chances. Football is about scoring." He added: "You need match-winners in both boxes and we have to work on that. "We have just started [the season], we are making progress and we are getting more and more control against teams. "The next step is getting more clinical. "Clayton Donaldson is the leading goalscorer in the league and Farid El Alagui is just behind him, while Paul Hayes has a decent record in the past, so we are not that bad. "But when you saw our game against Leyton Orient, we should score more goals with the amount of chances we are creating. "We will work on it."